Responding to a request by the government of Turkey, social media giant Facebook is now censoring images of the Muslim Prophet Muhammad. Turkey promised to block the popular website if it did not comply with an order handed down by the Golbasi Duty Magistrate Court on Sunday in Ankara, the capital. The verdict was sent to the Turkish Access Provider Association and the Presidency of Telecommunications and Communication, the country’s telecom authority. It has the ability to block Facebook in Turkey. The ruling came after a previous decision in the Diyarbakir province to block pages showing images from Charlie Hebdo, the French magazine attacked for satirizing Muhammad and Muslims. Ahmet Davutoglu, the Turkish prime minister, had traveled to Paris earlier this month to show solidarity after the deadly attack. On his return, he promised to censor images of the Prophet Muslims consider blasphemous. The government began an investigation after a Turkish newspaper, Cumhuriyet, published images from Charlie Hebdo, including a cover illustration of Muhammad. In March, the Turkish government censored Youtube and Twitter. Youtube and Twitter were blocked after a recording of a conversation between top government officials discussing the prospect of going to war with neighboring Syria appeared. Prime Minister Recep Tayyip Erdogan vowed to “eradicate” Twitter in response to the revelation. Twitter buckled to Turkish pressure by removing images of leaked government documents posted by the Turkish news outlet BirGun. Twitter, however, decided not to suspend BirGin’s account. On April 3, the Turkish Constitutional Court ordered authorities to unblock Twitter because the decision violated the rights of users. “Everyone has the right to express and disseminate his thoughts and opinion by speech, in writing or in pictures or through other media, individually or collectively,” the Court ruled. Despite the Court’s decision, on January 14 the government blocked access to the Twitter account of a whistleblower going by the handle Fuat Avni. Fuat Avni stands accused international espionage and an attempt to undermine the nation’s unity by revealing state secrets, according to state documents. The account has 177,000 followers. 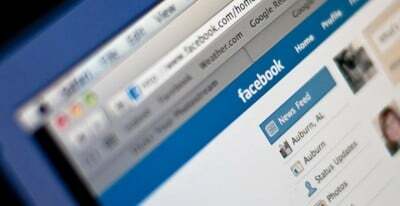 Facebook has responded to a total of 1,893 requests by the Turkish government for pages to be taken down, according to a report issued by the social media network.